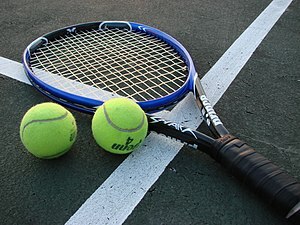 It was 7 years ago that I played tennis with my family. We had cycled to the tennis court, played for an hour or so and cycled home again. That night my arm and neck had incredible pain in them and I could hardly move let alone sleep. It was clear something very bad had happened. In the end it was three prolapsed discs, about a year of recovery and a couple of years to get rid of the arm pain completely. The damage to my confidence was not so ‘quick’ to heal. Sunday was a beautiful day. Cold but sunny. A perfect day for tennis!!! In the quest for normality this was a goal I had set myself. I love tennis. It reminds me of my carefree days as a child hitting a ball to a friend or against a wall. Summers where there were very little worries. With my mind firmly set on my ability to spot and get out of trouble should it arise we had a lovely afternoon with the children on the tennis court. A walk rather than cycling to the court was the pre-match warm up and a walk home was the warm down. I know from the many previous times where I have embarked on exercise or sport it takes up to three days for the inflammation process to kick in with a vengeance. After the game I used a plai oil/argan oil blend (4 drops plai to 15ml argan) to massage my lower back and neck to hopefully stave off any inflammation (the temptation to use some NSAID’s was great but I knew I wanted to know if I could survive without). I did some back ironing, a small amount of spinal rolling and a little tennis ball massage as well. That evening I watched tv for 30 minutes lying on the floor with my legs up on a bean bag. I hoped and hoped….. The next day….a comfortable night, thankfully. A slightly stiff neck, sore shoulder and fragile lower back…..that’s all so far! Fingers crossed for day 2 and 3! I’ll continue with the exercises very gently and also using my Alexander Technique knowledge to reduce any tension in the vulnerable areas…..
Could this be the start of the next stage of rehabilitation?…..only time will tell. This entry was posted in Anti-inflammatory, Exercises, Inflammation, Medication, Neck pain, NSAID, Plai Oil, Sciatica and tagged Alexander Technique, disc, herniated, Inflammation, NSAID, prolapse, Sports, Tennis on December 17, 2012 by survivingbackpain.